When a divorce case begins, parties can be going through a range of emotions. Often, one party files for divorce during a period of anger or frustration. At that time, they think that divorce is the only option. So, they file the case. But as time passes, parties often have second thoughts. With children, jointly held assets and/or an emotional investment in the marriage and the relationship, it makes sense that parties later start to re-analyze their situation. “Is there a way to save the marriage? Might counseling work? Maybe a cooling off period will help?” These are all questions a party going through a divorce can ordinarily ask. Obviously as well, if a marriage can be saved, that’s a good thing. For as many families that can, this is something that should be encouraged. No attorney should ever encourage a party to get divorced or to not fix their marriage if they can. The decision on whether to divorce should be left in the hands of the client. At the same token, once a divorce case has been filed, it is a serious step. At that point, a case file has been opened. A judge has been assigned to hear the case. And that case gets put on a docket. In terms of court proceedings, there is no magic time-line, but most judges want to move cases forward. With fifty-percent divorce rates, and forty-percent of kids born out-of-wedlock, there are far too many family law cases for most judges to handle. While there is no absolute rule, most judges don’t like a case on their docket more than a year. To lots of folks out there, that makes perfect sense. The problem is that this is not possible. A court is going to set court dates, or have time-lines, for the setting of court dates because they need to move their docket. At some point, a judge is going to say the case has been pending long enough that it should simply be set for trial. If an opposing counsel calls your attorney, or files a motion, your attorney has to respond for an abundance of reasons relating to their professional responsibilities to the court, opposing counsel and their client. Think about this as well: What if while you are think you are on a “time-out,” your divorce case gets set for trial by the judge? What if your attorney hasn’t prepared the case at this point? What if they don’t have documents relating to the finances? What if they don’t have documents and evidence relative to the kids if custody is at stake? What if spousal support is an issue and no work has been done on either side of the case at this point? 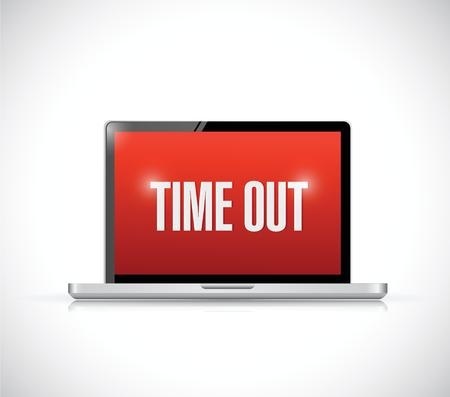 What if a deposition is needed, or an appraisal, and that hasn’t been done because you wanted a time-out? 1. A party who is considering filing for divorce should think about this decision long and hard before actually undertaking the act of hiring an attorney and filing a case. 2. If parties file the case, and then truly want a time-out, in many instances, the better move might be to dismiss the case without prejudice and re-file later if reconciliation does not work. Of course, in cases where jurisdiction is at issue, or there are concerns that assets might be depleted or other significant issues, this can make the decision more complicated. However, the reality is that there is not a “time-out” button you can press in the middle of a divorce case. While it makes sense to the average folks out there, it isn’t reality. It can also cause a client to receive a bad result result by asking their attorney to keep the case pending, yet tell them to do nothing at the same time while the clock on the case is still ticking. If you are contemplating filing for divorce and have questions, you can call Stange Law Firm, PC and our Divorce Attorneys in Belleville, Illinois at 314-963-4700. We represent clients in divorce cases all the time and can help you analyze your options.